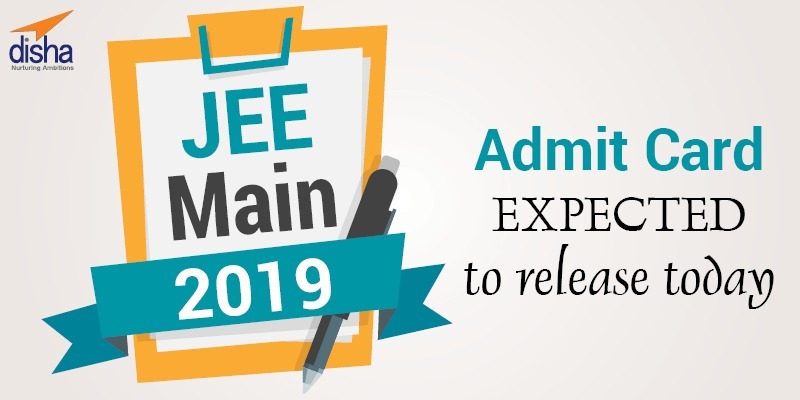 Admit card for JEE (Joint Entrance examination) Main 2019– is expected to release TODAY 20, March 2019(Wednesday). The official website carried the notification for the admit card of the exam. The notification released earlier by NTA (National Testing Agency) stated that the Admit card JEE Main 2019 will be released from March 20, 2019. The exact time, however, for the release is not yet available yet. Candidates are requested to keep checking on the official website for latest update on the release of the admit card timing. Candidates ought to get the print of the admit card and carry along them a valid ID card during the examination. The exam schedule for both Paper 1 and Paper 2, JEE main 2019 are available on the official website. Check free contents for JEE Main exam.